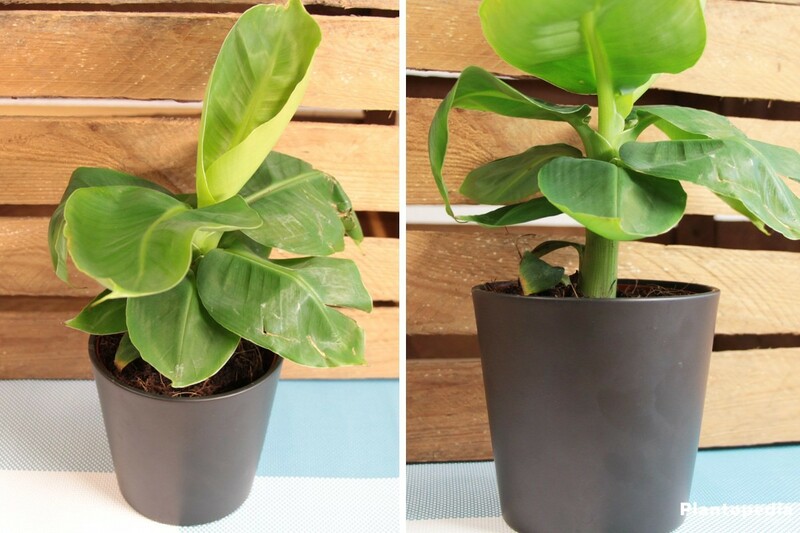 Inhabitants of cooler regions of Europe can still get a taste of a tropical and exotic ambiance in their summer gardens or living rooms with the banana plant. 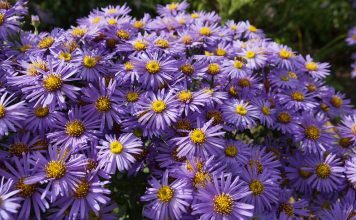 Some plant varieties are hardy and fit for winter storage while others prefer a warmer climate. 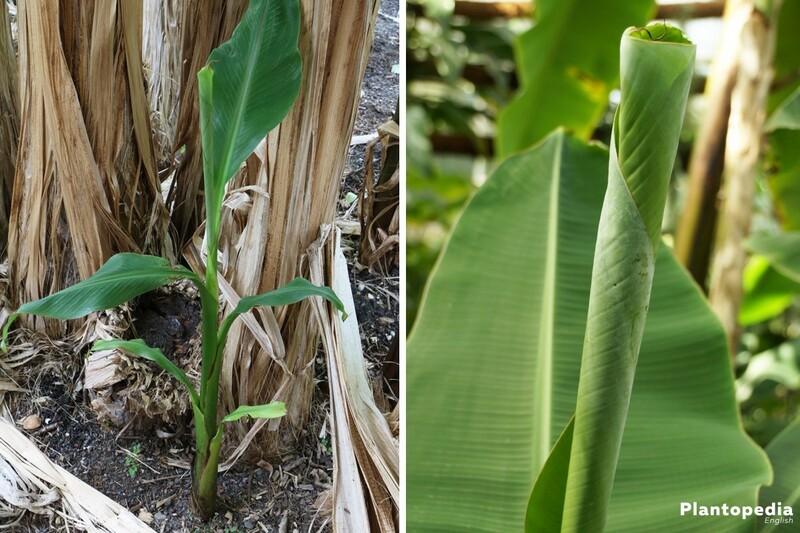 Whether it includes an edible inflorescence or it is intended to serve as a mere ornamental plant, the banana plant is a special plant which one should properly cultivate and care for. We will show you how to do that in our cultivation and care instruction. 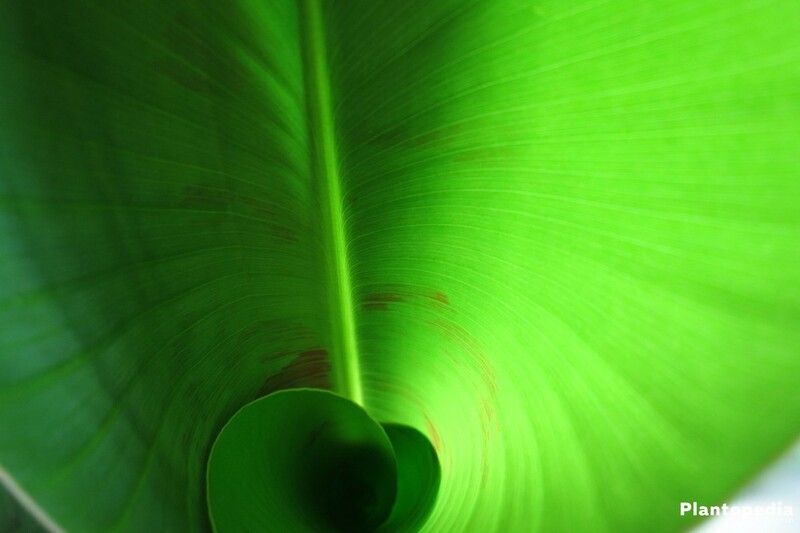 The banana plant is part of the more undemanding plants. Frost sensitive varieties can easily be stored over winter and due to their low life expectancy of a few years are suited for multiplication. Everything you require for a strong growth, a healthy banana tree and lots of fruit is the right cultivation and care instruction. 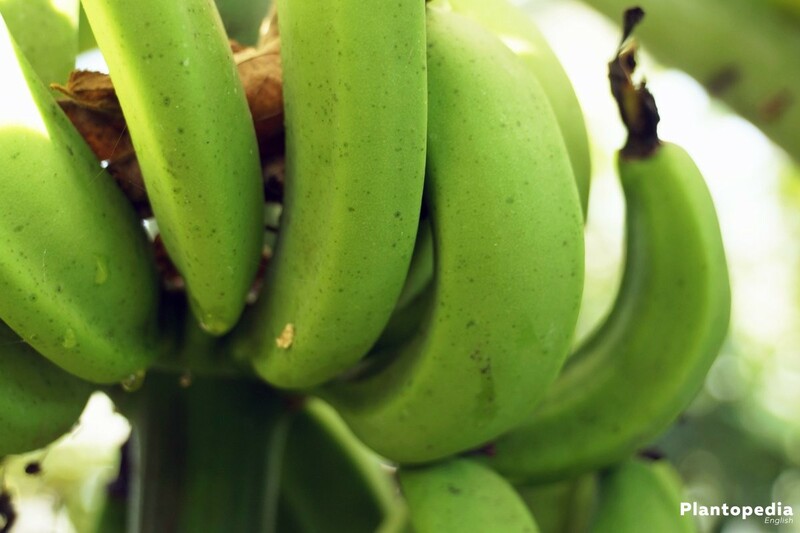 Inform yourself right here how to multiply a banana tree, what the banana plant requires, how to properly care for it and how to react in the event of occurring diseases. Plant height: depending on the variety 0,5 to 10 meters. 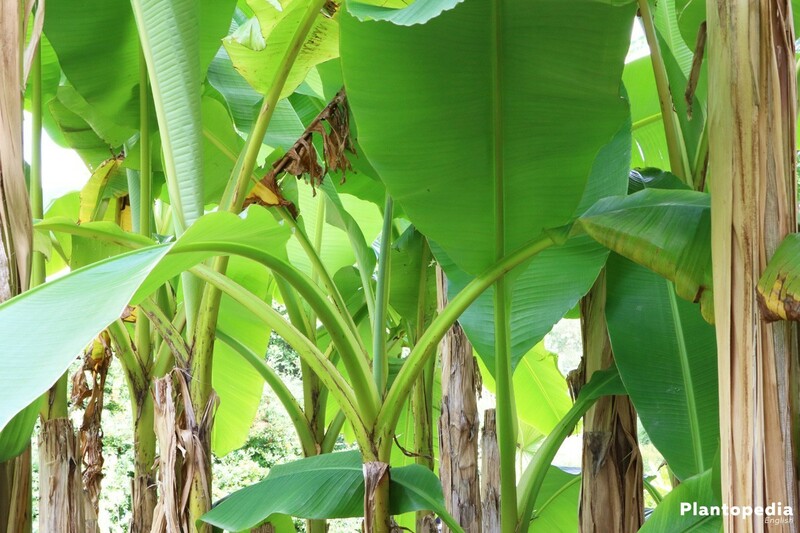 To insure a healthy grow and flowering as well as harvest one has to choose a location which caters to the banana plant with all its needs and requirements. The base for the growth and flowering of a banana plant is the soil which it is planted in. It is not rare to plant a banana shrub in a bucket as many varieties are kept as indoor plants and are not fit for winter storage. In this case one should use a substrate which is permeable to water in order to prevent soil wetness. Ideal is a substrate which is enriched with coconut fibers, saves the moisture and prevents the occurrence of soil wetness. Fill the bottom of a propagator or a tiny flower pot with quartz sand or clay shards as drainage. Remove leaked water in order to avoid waterlogged soil. 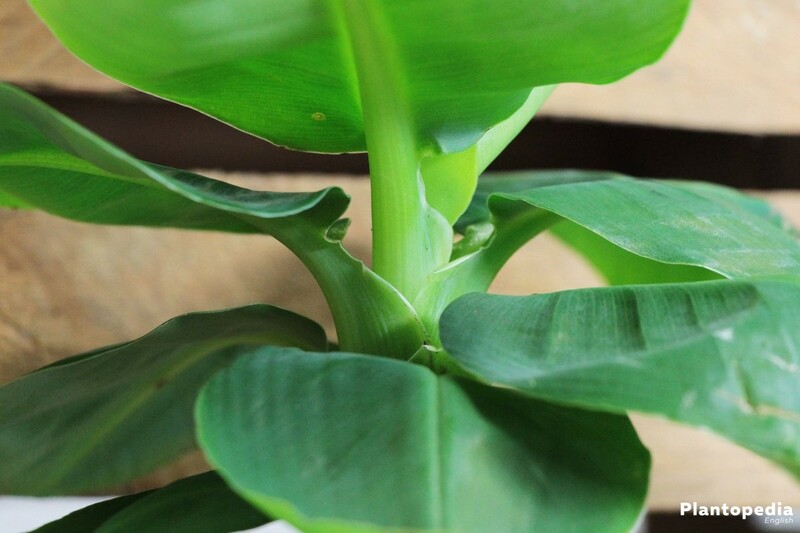 The banana plant requires a lot of water as its whole water structure is water-rich. To maintain this healthy structure and furthermore insure its health and flourishing, it is imperative to regularly water it. Both the garden soil as well as the substrate has to be kept moist at all times in order to avoid damage by dry conditions. The banana plant does tolerate levels of lime within the water, it is thus recommended to prefer the usage of rain or stale water. With the latter the lime is being deposited on the edges of the pot or on the bottom so that a near lime-free watering is possible like it is with rain water. Contrary to young plants, a mature banana shrub requires nearly no fertilizer at all. In the case of a garden plant the plant should be planted in a pot for winter storage due to it not being hardy. With this method the garden or indoor plant receives a sufficient amount of nutrients or mineral substances through high-grade substrate or peat enrichment. Despite this, two to three fertilization processes per year do not harm the plant. 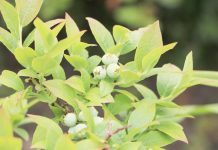 It is recommended to use liquid fertilizer at the start of spring and in the fall. 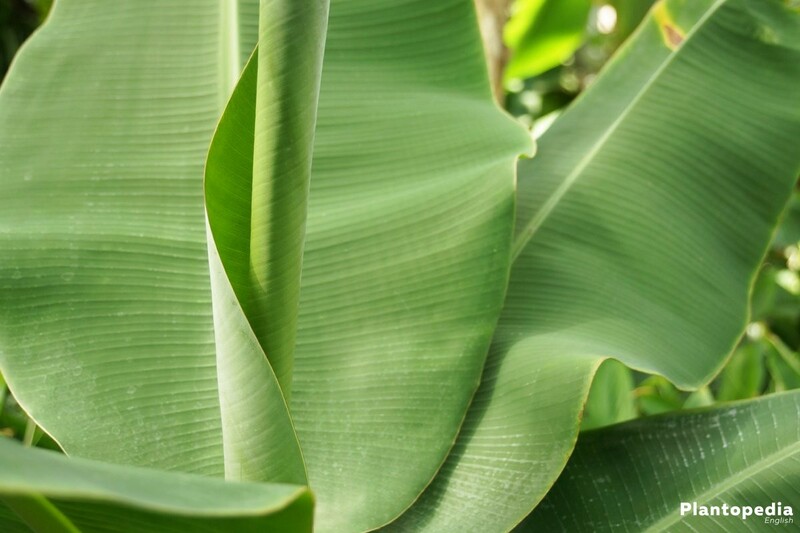 As banana trees ordinarily survive a mere couple of years, by multiplication the shrub can decorate your garden or indoor living space for decades. 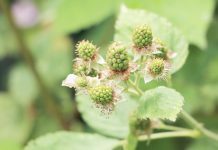 A multiplication by the seeds of the mature mother plant is only possible for wild plants as they are not available in the colder regions of Europe. The offshoots however make it possible. 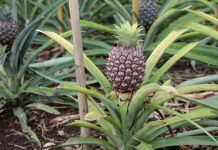 There are regularly offshoots growing on a mother plant which should be cut every two to three years during the course of replanting. Suitable for multiplication are offshoots which already hold three to four dark leafs. The normal height of an offshoot at this point in time is about one third the height of the mother plant. Suited for hibernation outside under the exposure of sub-zero temperatures are mostly banana plant varieties originating from mountainous regions located in Asia. Included are e.g. musa balbisiana (Japanese fiber banana), musa cheesmanii (Cheesman banana) and the musa yunnanensis, which still should be sheltered from cold weather conditions. In order to achieve this root bales should be covered with foliage or straw which should not be removed until spring. All banana shrubs which are not winter hardy should be relocated from the garden to a warmer location. The relocation should take place as soon as the temperatures reach temperatures below 18 degrees. As frost-sensitive banana plants do not hibernate, the temperature of the location should be relatively warm and not below 21 degrees. Ideal is a location near a heater or radiator. 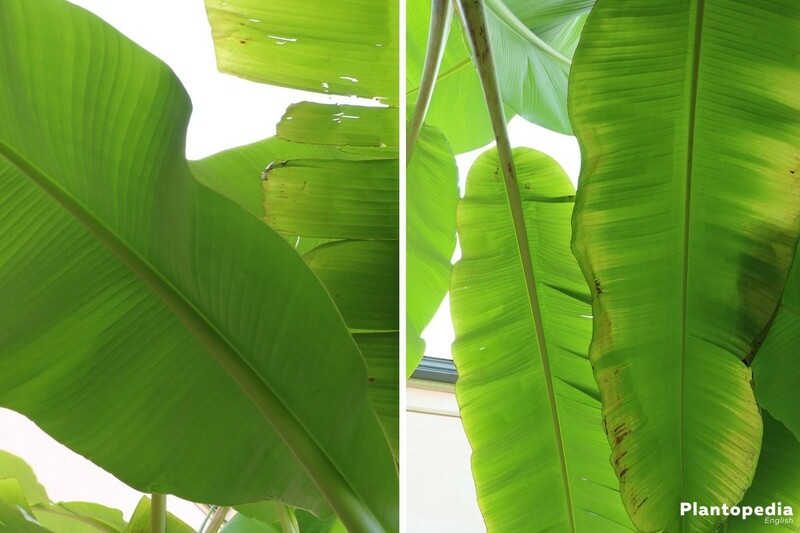 The banana plant should not be placed on a windowsill due to the dry humidity which can lead to burns. You should generally avoid high temperature fluctuations in the process of replanting it in the winter and placing it outside during spring. 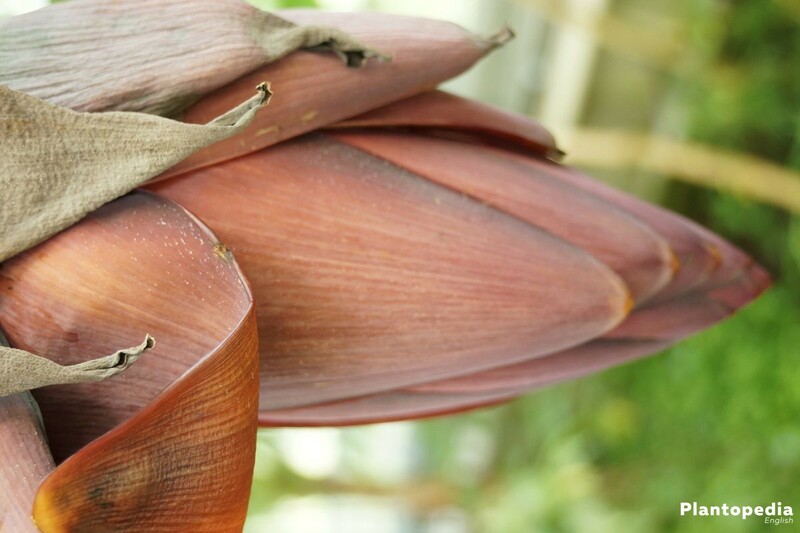 Let the banana tree slowly adjust to warmer or cooler temperatures. Concerning the banana tree as a mere indoor plant there are no special instructions. You can continue the care as usual. Banana trees are generally regarded as plants which are not overtly susceptible to diseases. However by not properly taking care of the plant it could be harmed in a fatal way. Even though the banana plant requires a lot of water, with the occurrence of water logging the plant reacts with root rot. In this event the leaves are changing their color to yellow. The leaves and pseudo stem are moreover increasingly losing stability. This can lead to the death of the plant if the necessary counter measures are not being executed. 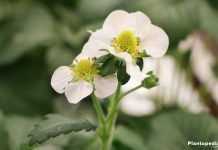 For that you should remove the plant out of moist soil. Rotten parts of the root should be cut and the plant should be left to dry for one to two days. Only after that it can be placed into fresh, nutrient-rich substrate. Do not forget to place drainage of clay shards and quartz sand under the roots in order to avoid water logging. 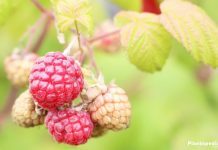 Let the plant recover for at least four to six months until fertilizing or planting into a garden bed. 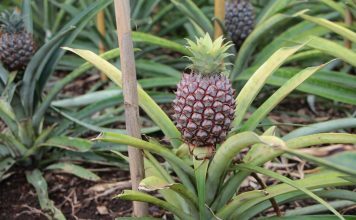 If the banana plant is being stored in an environment which is too cool or dry it is often being afflicted by mealy bugs. They can be identified by the occurrence cotton-like white cocoons which are located on the lower leaf surface. They do not solely feed on the leaves but also produce the so called honeydew which can allow the occurrence of sooty molds which in turn incrementally harms the plant. 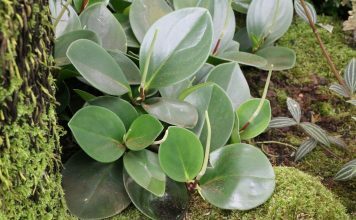 An environmentally-friendly treatment of the plant is possible with soapsuds. Additionally there are some drops of ethyl alcohol added with which the leaves are then being wiped-off. The chunks of dust should disappear after one to three applications. You should watch out for eggs as mealy bugs reproduce very fast and abundantly. In this event the only viable solution is a chemical treatment for a quick remedy. Recommended are liquid products that kill eggs deposited into the soil and reach all the way into the roots and leaves where they are eventually being consumed by the mealy bugs which leads to their demise. The behavior of the spider mites is similar to that of the mealy bugs. Especially warm air from a heater attracts them on the banana trees. First traces of tiny white dots of the leaf surface indicate a spider mites infestation. 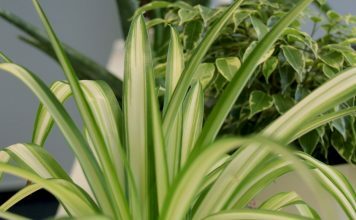 The more distinct the dots are, the more a coloring of the leaves occurs from a bright green to a creamy-white. As a result the leaves increasingly dry out. Tiny cobwebs can be visible between the leaves and on the pseudo-stem. 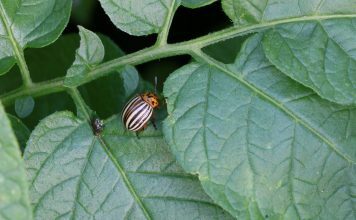 As they often infest surrounding plants, the affected plant should be immediately isolated. Shower the infested banana plant meticulously and place a plastic foil over the plant. This will increase humidity which in turn leads to a quick death of the spider mites. Alternatively there are sprays to fight infestation. Using such a product requires in general a weekly spraying over the course of several weeks. Even easier is the usage of the so called crop protection sticks against spider mites. These are simply placed into the soil. The ingredients which are fatal for spider mites find their way into the root and the leaves which are being consumed by the spider mites.